Completed on 2-7-2016. Fly Away Jack is 11x14 painted on a cradled wood panel with painted sides. 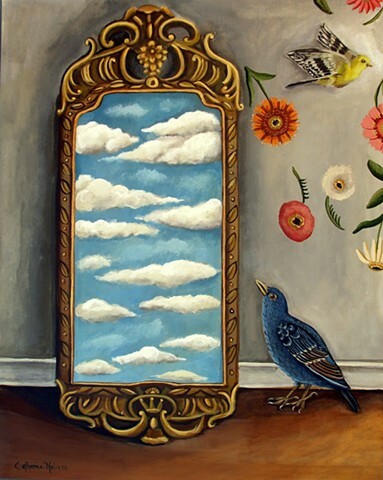 I love clouds, I love painting them in surreal surroundings. Fly Away Jack is from a nursery rhythm that Sam still likes to hear.